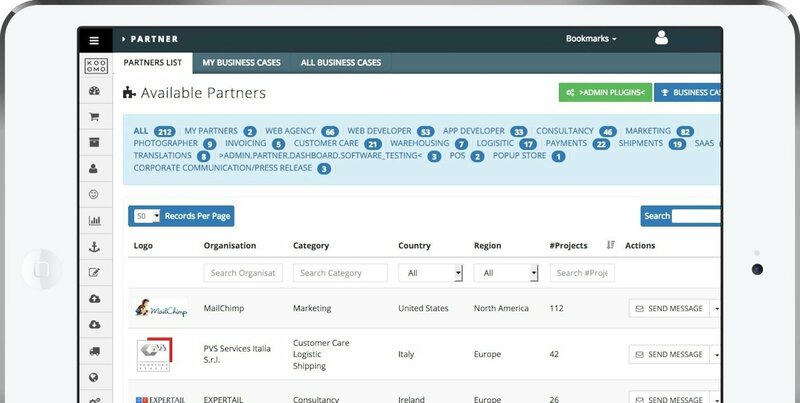 Connect with hundreds of integrations to grow your business with the world’s best-in-class technologies across sales, marketing, project management, payment gateways, courier networks, and more. We believe in automation wherever possible, which is why we team up with aggregators in every area of digital commerce to give merchants the opportunity to integrate with the best technology on the market. Our partner ecosystem is constantly growing, and includes industry leaders such as Stripe, Scurri, PVS, Google Shopping, and more. Through the Kooomo partner network, online retailers can reduce spend through preferential application subscription rates. This has a knock-on effect on overall TCO, making your digital commerce solution as cost-effective as possible. As most third-party applications are immediately available and ready to plug into the Kooomo digital commerce platform, it means that brands don't have to wait for developers to integrate them. You can get started with our web based systems integration!